Family holidays are something that some think will be too much bother. But many are grateful they took the plunge and took their family with them to the mountains. I have witnessed family skiing that did not work out and hte children were left behind on futire trips. A shame — but usually a disappointing holiday can be attributed to poor holiday planning. Wherever you choose to hit the slopes, read on for my 21 top tips for a hassle free family skiing holiday. I first started my snow plough attempts aged five on a family skiing holiday, and have repeated this and made the ski bonding experience for my family. Those that do it, know it…that nothing can beat a family ski holiday, and the start of a passion — that often remains for life. 1. Avoid high altitude resorts. These may dangerous for younger children, but I can’t sleep well in high resorts. Acclimitisation takes time that you may not have. 2. Travel on a Sunday, or a Monday, Tuesday, Wednesday or Thursday. Enjoy a quiet first day on the piste. Be greeted by relaxed hire staff and hotel check ins by avoiding the Saturday changeover day. Putting together your own diy ski package is no bother and puts you in control of which day you travel. 3. 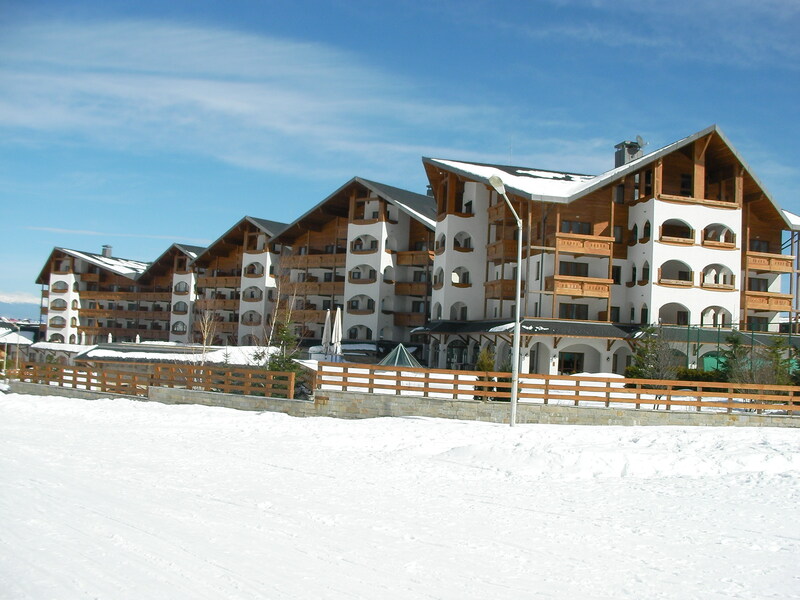 Stay in a hotel or apartment on the piste, or within 300 metres of the lift. The 5 star Grand Arena Kempinski is the best hotel in Bansko for luxury and convenience. 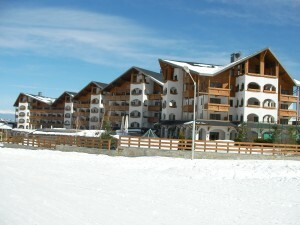 The Sport Hotel next to it is also on the piste in Bansko. Lucky Bansko is good for luxury and service, but a bus ride away from the lift. 4. Check that child car seats are available and included in your private transfer. 5. Ski clothes last just one season (one week) for your children. Family and friends often help out: try charity shops. For items not borrowed, then check out my article on ski fashion; you’ll find an extensive the listing of top value ski gear retailers and their internet sites as well as more high end gear to be found here in Bansko and eslsewhere. 6. If you really need a pushchair, then ensure it has bug chunky wheels to assist pushing in snow. 7. 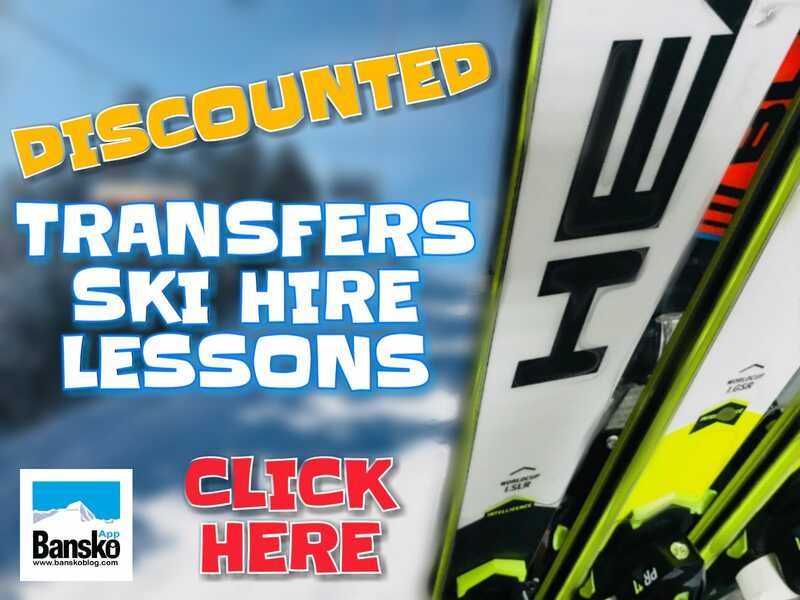 Pre book your ski/snowboard hire, lift pass and lessons. Saves hassle and cash. 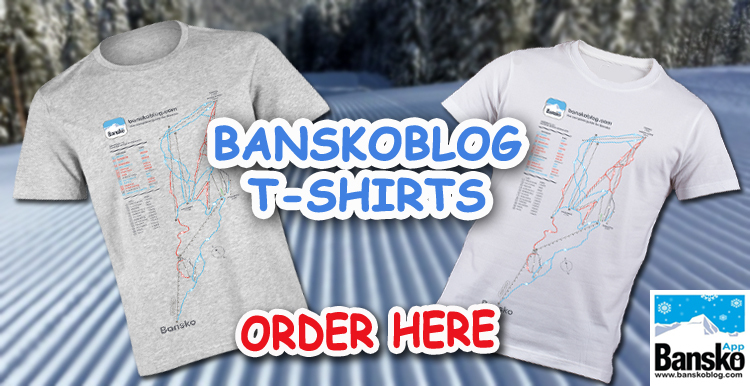 Blog readers are saving 25% in Bansko. 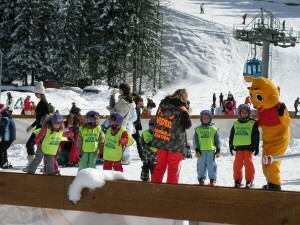 Six days ski/board and boot hire is just 50 EUROS and just 37 EUROS for children. Helmet included. Always check that you can leave your skis very close to gondola in the fee. Never think of carrying young children’s skis far. 8. Make sure instruction is in class sizes of five maximum. Your children will learn a lot quicker. 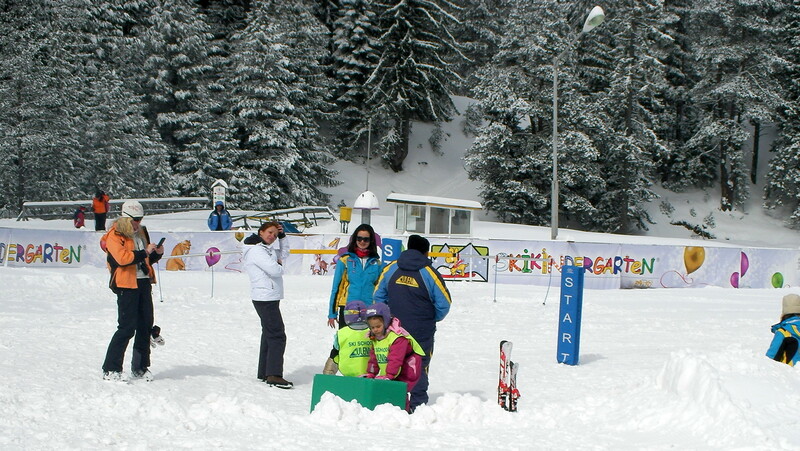 Virtually all Bansko instructors speak good English and all the ones we deal with speak excellent English. I recommend private instruction for children. 8. Rent an apartment if you have a baby — the kitchen will be invaluable for food and heating milk. Self catering saves cash and is ideal for yound babies and children. 9. Check the creche staff to baby/child ratio and the facilities. 11. If you nappy age children, take enough for first few days. Bulgaria, for example, has most of the international brands. 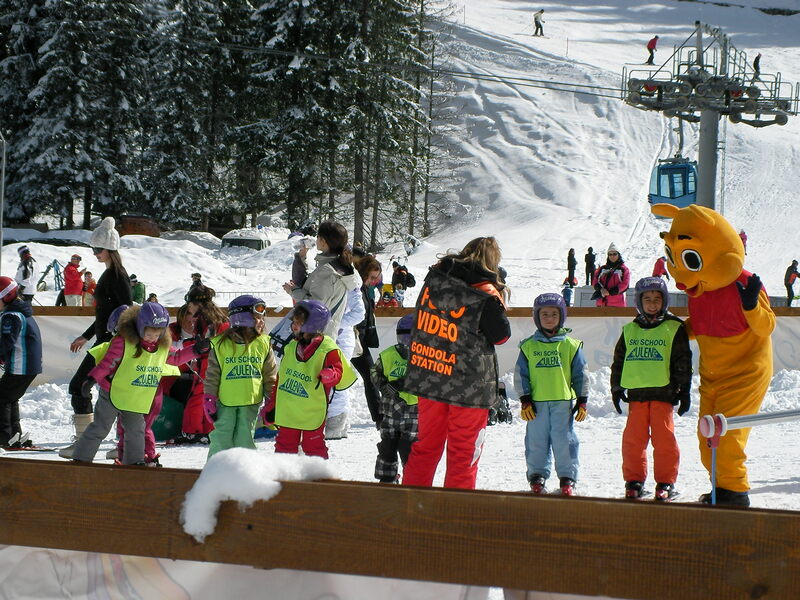 Stop at Metro if skiing in Bansko or Borovets. 12. If staying in a hotel, ask if there is a DVD player. Take a laptop and use that to play videos. If you don’t have one yet, use this electronics promo code and get one before your trip. It will be worth it. 13. Laundry service. Hotels have a service for this. If coming to Bansko just call Ivan: +359(0)899 866962. Just 7 lv (3.5 EUR); includes pick up and delivery from your hotel or apartment. 14. Ensure you have knowledge ofÂ the medical system of your resort. For Bansko, the subscribers free guide has all emergency numbers including English speaking doctors that will come out at any time of day or night. 15. Security matters. Will your hotel room or apartment be secure? 16. Is there evening entertainment nearby to your hotel, apartment or chalet? Family friendly restaurants such as Victoria, Fancy, and JJ Murphy’s are ideal for affordable food. 17. Bring medicine sachets and never bottles that can smash in your luggage. 18. Pack slippers. Kempinski has complementary ones. 19. Buy a local SIM card to saves wallet emptying mobile bills on all those little coordinating calls to each other. Walkie talkie sets only work on line of sight and, in my experience are too unreliable to be worth bothering with. 20. Have your mobile number on a cardÂ for the ski school to contact you in case of emergency. 21. Be sure to ensure you have a night out without your children. Kempinski’s Sing Sing is good — or how about St Patrick’s night at JJ Murphy’s on Wednesday 17th March? Plenty of baby sitters for hire in Bansko, mean you need not sacrifice a night out because you have your children with you! What are you tips for a successful and hassle free family ski vacation? If you enjoyed this article and want to receive more like this in my emil newsletter, then join today. Your children will thank you in their later years for making the effort taking them. I've never been skiing – but I'm sure I would really enjoy it. Perhaps one year. My children are grown up now so they go on holiday themselves – don't want to go with 'old' mum and dad. One thing we ensured we did have when we did go on holiday as a family was: pack their fav cuddly bedtime toy. It helped them settle in and sleep better. The tip on high altitude resorts is a good one. If you go from a coastal or much lower area to greater than 2000m elevation in a day (high attitude resorts are much higher) it will take a day to adapt. The rule is one day of adaptation for every 1000m of vertical change. You can never adapt at high altitude on vacation and in addition to not sleeping well, may experience altitude sickness that will last a while after you return to sea level. I really liked the idea of allowing a few days before you actually start skiing in the middle of the week. If this is usually allowed in Bansko, it is a great selling point. This would give people like me, who get altitude effects, to adjust to the new elevation before hitting the slopes. Anything over 5000 feet puts me right to sleep. Takes a few days to wake up enough to risk my very moderate skills on the hill. 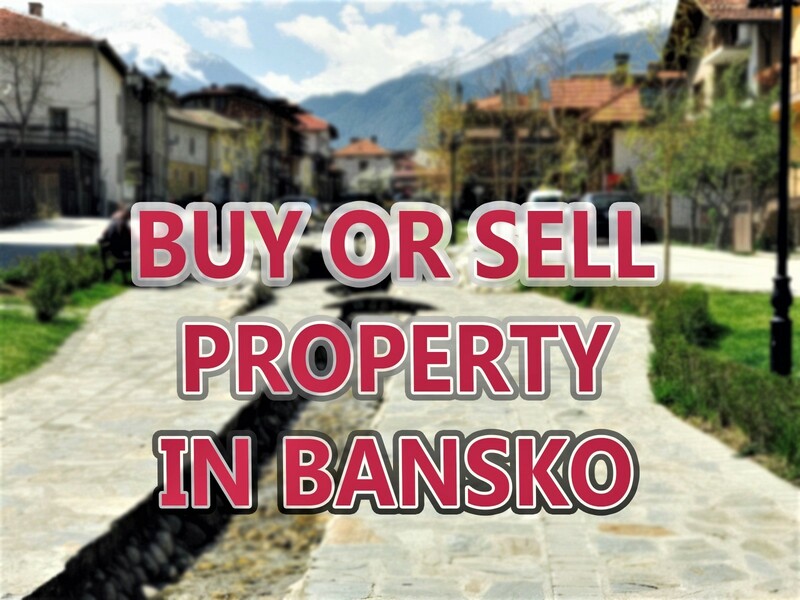 Thank you for your idea… it's amazing how something I once thought was so good about Bansko I had forgot about before researching for this article. I will promote the flexible stay dates we have here. Typically a similar located apartment approximately the same size as you find in the US is a fraction of the price here in Bulgaria… Its around $500 for 7 nights here in a large two bedroom apartment close to the lift. compared to well over $2,000 approx in the US. a 500ml ( bit more than a US pint) beer was $1 (0.75 EUR) on the mountain today. This is a great list, – but I'd have a hard time not skiing in altitude being in Colorado! LOL All our skiing is probably over 8,000 ft. – and I live at 6,000 ft. – We gave our 6 year old group lessons this year with mixed results. We finally gave her a private lesson and she's rockin down the slopes… As her instructor said, all she needs now is 'miles' weeeeeeee Love the sport! That's a very thorough list to improve a family ski vacation. I would think it would be very helpful to anyone with children. And I'm also thinking that a lot of those tips could be used on any family vacation where you're going to a resort area, even if it isn't to ski. Great info. Thanks for the great list, Lance. My family is not a "ski" family, but I have a son who would love to try it. Your list is going to come in handy when we plan our first ski trip. Honestly this list could not have come at a better time for a lot of people who will be planning pre-spring vacations. It's clear you are passionate about skiing and there's nothing like learning from someone who loves their stuff. This is a great list and could almost be turned into a printable checklist that could be used as a resource. Thanks for the great tips and thanks even more for sparring from some aggravation. My children have all been skiing on school trips, but its not something I’m ever likely to try properly. For one thing my wife hates the cold! Another is I tried skiing on an artificial slope many years ago and hated the sensation of travelling at speed with little control. Shame really as skiing takes place in some lovely places. Great tips for skiers. I don't ski, but I have couple of daughters that do. One as a 4 year old that they are trying to teach. I'm sending them your tips, because I feel it could really help them with a family holiday. Here in the mile high city we don't have the problem of alitude, but when i take a trip to California i have trouble getting sleepy because of the change in altitude. Guess it works both ways. The idea of the cuddly toy Andrew talks about is a really good idea. Keep up the good work on skiing. You know your slops. Great tips Lance, it could be offered as a printable checklist as Mitch says. I've been snowboarding a couple of times and had to spend the night sleeping on the floor as my body needed the hard surface! Bankso sounds like a great place to be though! This list is interesting. Bringing the children in these risky areas could really be a hassle most of the times but having the effort of taking into precautions but still trying to enjoy the learning with them is such a gift to everyone during the holidays. Thanks for the contact details of affordable services as well! Will look forward visiting there soon. Wow. Now I want to go skiing with the family (she types while sitting on a couch with torn ligaments from her last skiing attempt 6 weeks ago). You make it sound so much fun! Plus we love to travel. Perhaps sometime we'll go and I'll just sit quietly-and safely-in the lodge. Hi Lance, you've created a very good list of things to remember for parents planning a ski trip with the family. Skiiing and snowboarding is something I've never done (except cross country which I love). I had a back injury which makes me nervous to try anything with the potential to re-injure but it is really tempting to try a small hill :0) 2 of my three kids love snowboarding and would have really enjoyed a trip like this as they were growing up. I'm terrified to ski. I'm afraid I'll end up wrapped around a tree like one of the Kennedys or Sonny Bono! Still haven't gone skiing, and looks like it probably won't happen for while (at least until I'm no longer pregnant). I remember the family drives up to the snow for a day of sledding. Lot's of fun, but I would really have loved staying longer. Love your tips and will keep them in mind for future family events! These days, i think skiing is for everyone. People are happier in the mountains, getting excericse and having family fun. Actually sledging is huge fun… unmissable when the snow arrives. Hi Martin, see ski packages link on the site!